Nothing is better than leaving the hair salon or barber feeling like a million bucks. For women, maybe it’s a new shoulder-length bob or highlights–perhaps even a relaxed perm. Men might leave with a nice high and tight fade or a shag cut that has them walking out feeling like a movie star. Such a great feeling! The people you’re about to see, however, decided to really stand out from the crowd–and stand out they did. Whether it’s in a good way or a bad way? We’ll let you be the judge. 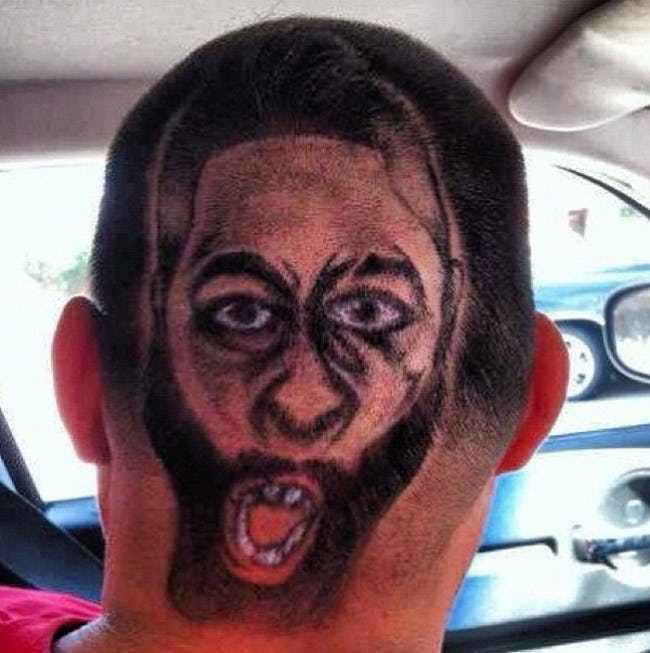 Here are 55 people that have haircuts that are so bad–we’re not quite sure what they were thinking. But they sure made us chuckle! Get ready for a good belly laugh. Not only is this guy rocking a rat tail but he has the silhouette of an actual rat to complement the tail. We’ve got to hand it to him for creativity. We’re hoping it was just a joke? 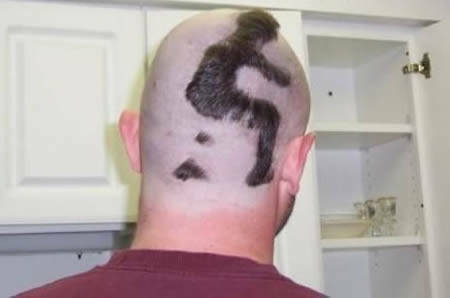 We don’t know who this man is that has been shaved into the back of this guy’s head but it’s slightly terrifying, to say the least. Is it someone he knows? Is it a celebrity? Is it himself? All we have to say is–yeesh. Oh, school photos. When we’re younger, we’re usually at the mercy of our parents. Wearing whatever they want us to and having our hair done the way they’d like. 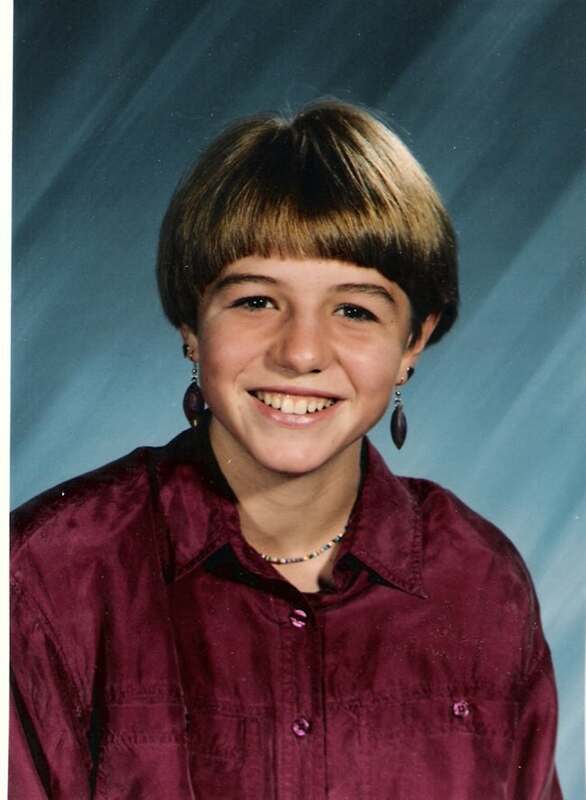 Apparently, the go-to choice here were giant teased bangs and keepin’ it long in the back. Oh, the bowl cut. They were so popular in the late 80s and early 90s for some godforsaken reason. This young girl now has documented proof that she definitely had one. It literally looks like someone put a bowl on her head and just cut. All of us have had a bad haircut or style in our lives. None of us are exempt from that–even Justin Timberlake. 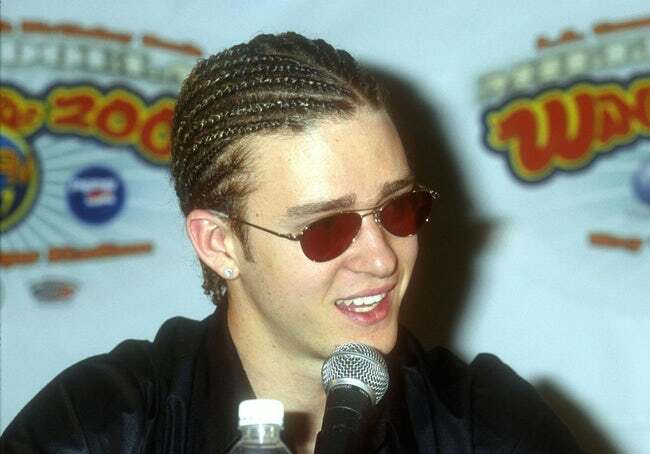 Just remember, at one point, he decided it was a good idea to rock some cornrows. We’re glad he let that go. 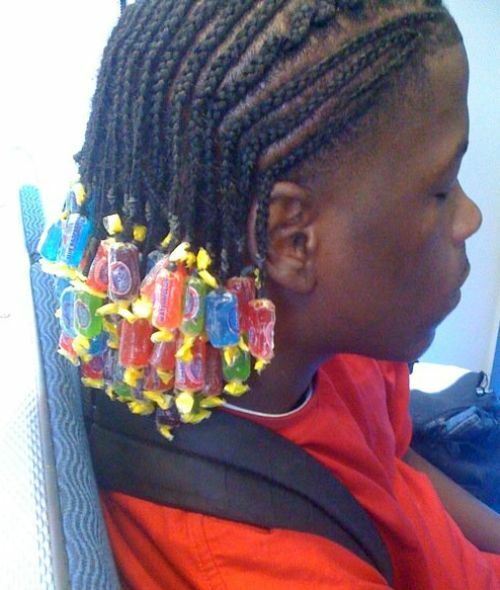 We’re almost a loss here with this funky hairstyle. We’re not even sure how they were able to pull it off! 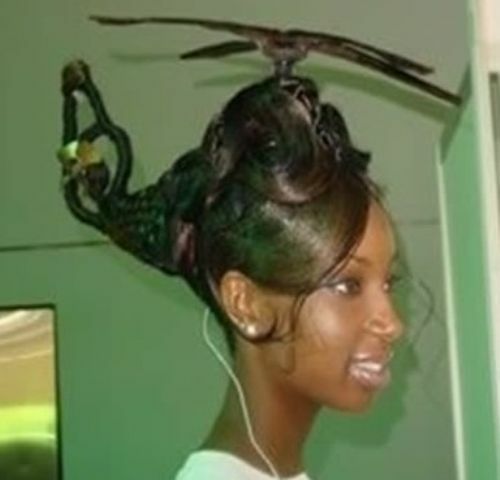 But, it appears that this girl really wanted her hair to take flight with a style that mimics a helicopter. This guy’s actual hairstyle really isn’t the issue here. Sure, his long flowing locks aren’t everyone’s cup of tea but it’s his body hair that has us scratching our heads and shielding our eyes. He seems quite smitten with his look, too. 8) A treat for later? 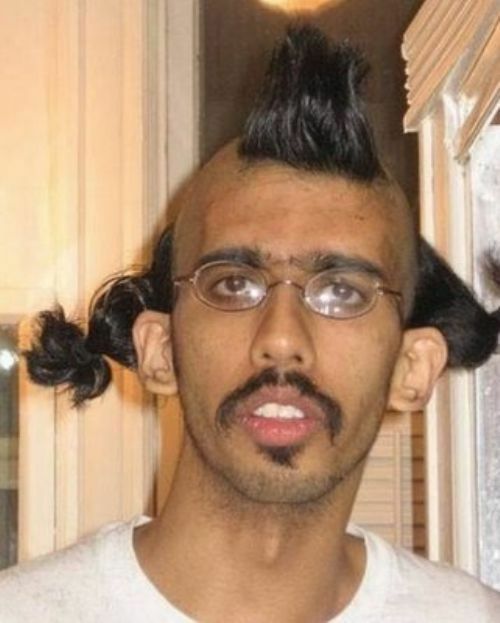 Now, here’s a hairstyle that prompts one question after another. First off, wouldn’t this be heavy? How does he sleep with those in there? Wouldn’t they start to melt and become sticky after a while? We’re not really sure what this guy was thinking. Wow. Just…wow. 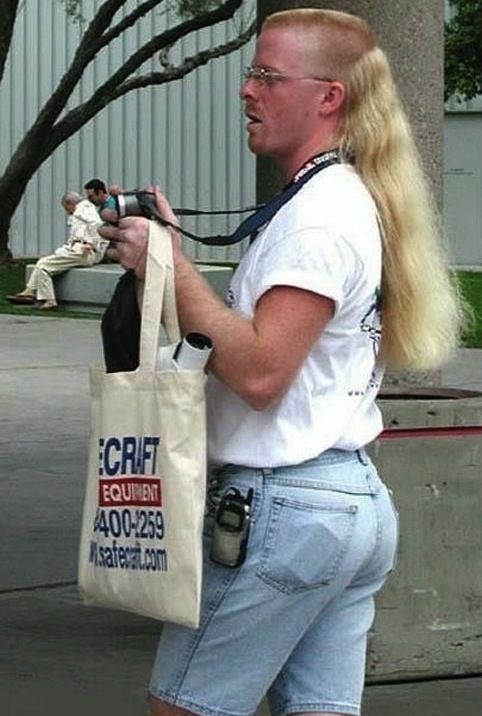 This guy is rocking the mullet of the century. Check out how long and lush that blonde hair is in the back! And for the front? He went for a straight military-style buzz cut. And the best part? He looks so confident! We’re not sure if this was intentional or not but this guy (is this a mugshot?) has only about a quarter of his hair in cornrows while the other three-quarters are straight afro. 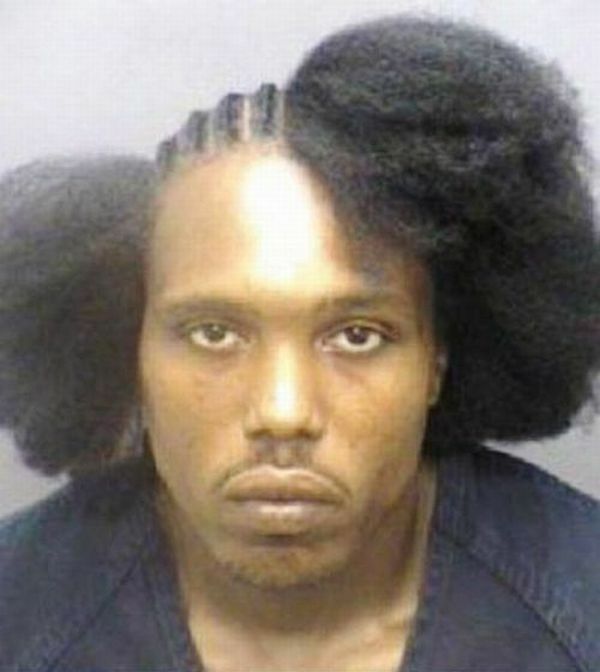 If we had to guess, maybe he was interrupted while getting his hair braided. 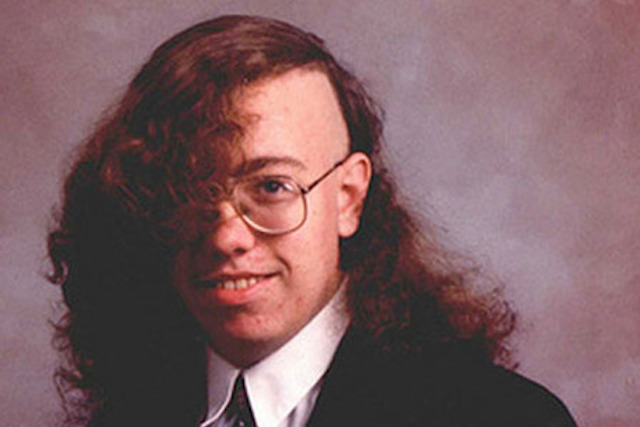 Again–not a haircut but too zany not to share. 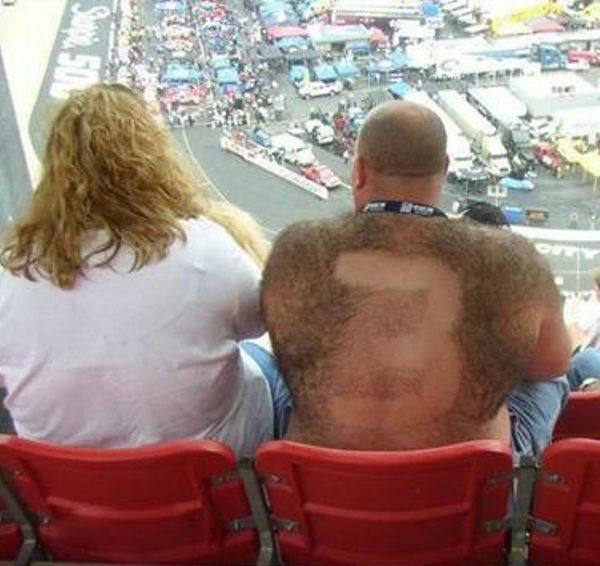 What does a major car racing fan do when they have enough back hair for a dozen men? Shave in your favorite car’s number, of course! We wonder what his wife really thinks about this. If you’re a Simpson’s fan, you might really get a kick out of this one. It appears this man walked straight into the barbershop and asked for an exact replica of Krusty the Clown’s iconic look. It’s quite the style. Oh, the late 90s. What a time. 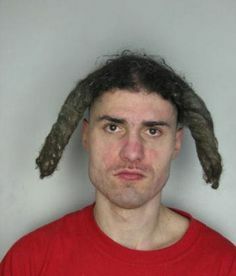 If we had to guess, his favorite bands were probably Slipknot and Korn? 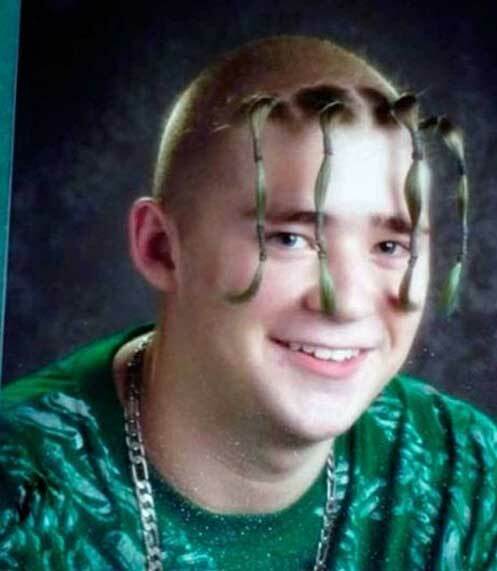 Either way, his choice of hairstyle for his school photos is quite something. All buzzed except for the bangs, which in turn, have been secured in the iconic multiple-rubberband look that so many people liked back then. Punk rock meets “what the heck is going on here?” This guy probably goes through a lot of hair gel or mousse each time he wants to leave the house. Spikes in every direction with a little half curl in the front. Wow. We’re just crossing our fingers in hopes that this was either an April Fool’s joke or a Halloween costume. 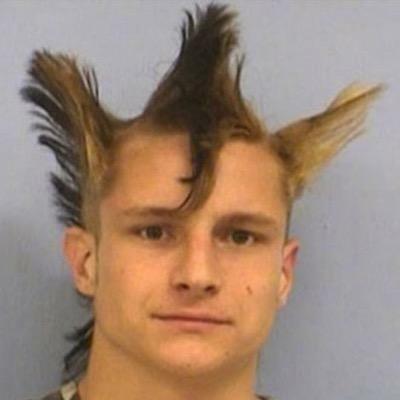 But, it’s probably just a hairstyle that he wanted to wear for shock value. 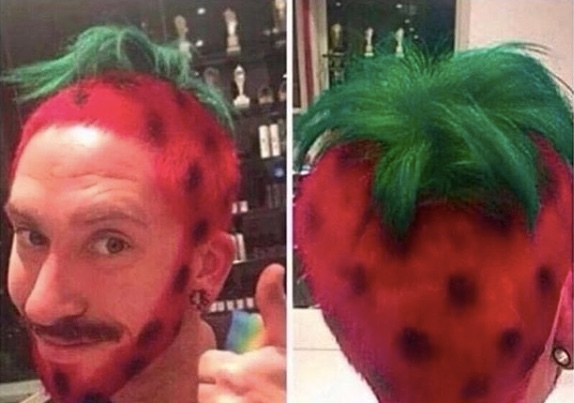 Not only is the strawberry-themed haircut ridiculous but he had to get his facial hair involved too. 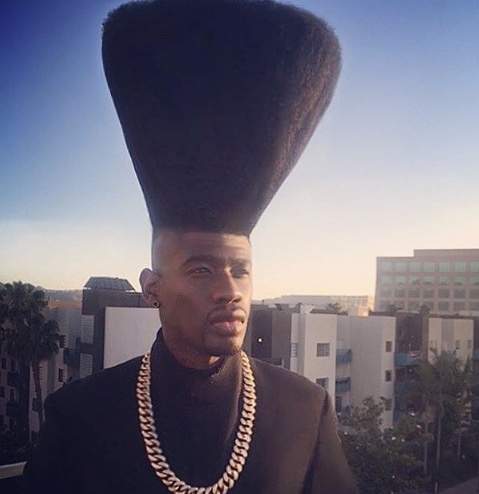 Although this guy’s flat top is impressive due to its sheer height, we have to say that it bears an uncanny resemblance to a makeup brush. How much time did it take to grow this out and get it to stay so perfectly stiff? 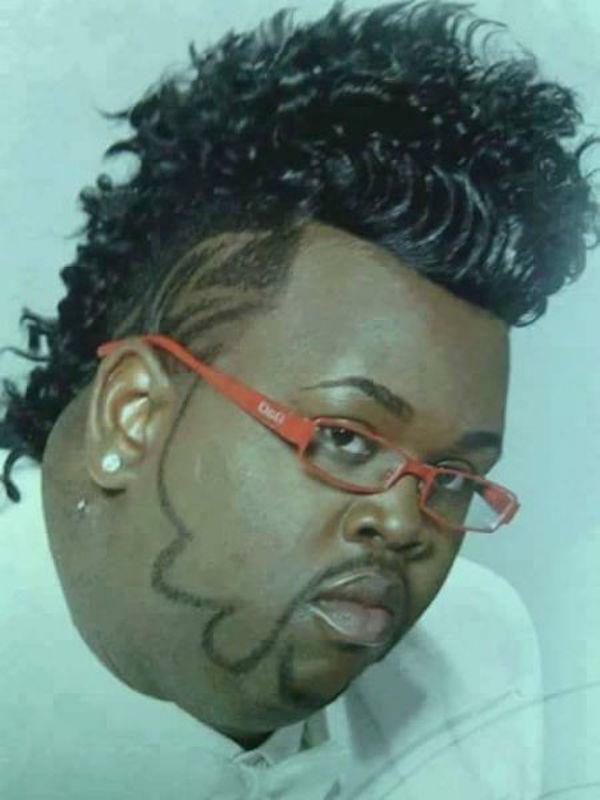 What is with involving the facial hair to be a part of an already-ridiculous look? 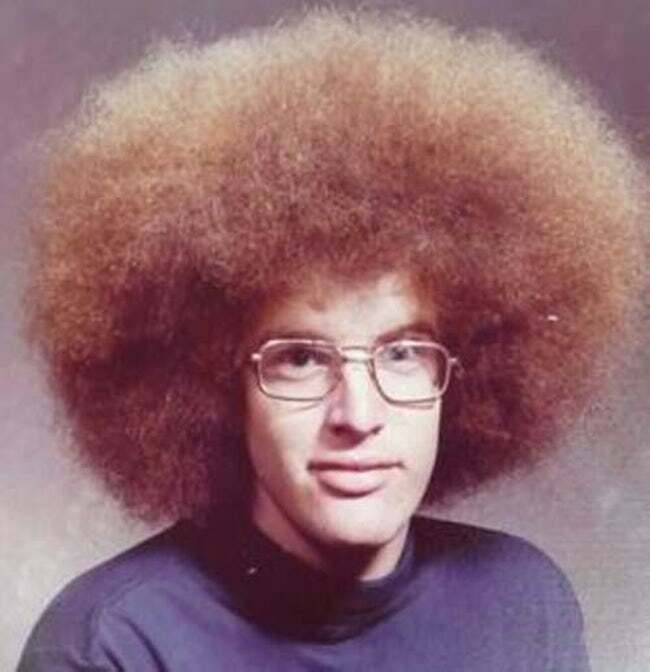 This guy’s hair isn’t even bad. It’s the strange hairline that he’s shaved and even weirder connection the facial hair that’s throwing us for a loop. We’d like to know the thought process of this guy’s brain. Maybe we don’t. But either way, what happened here? 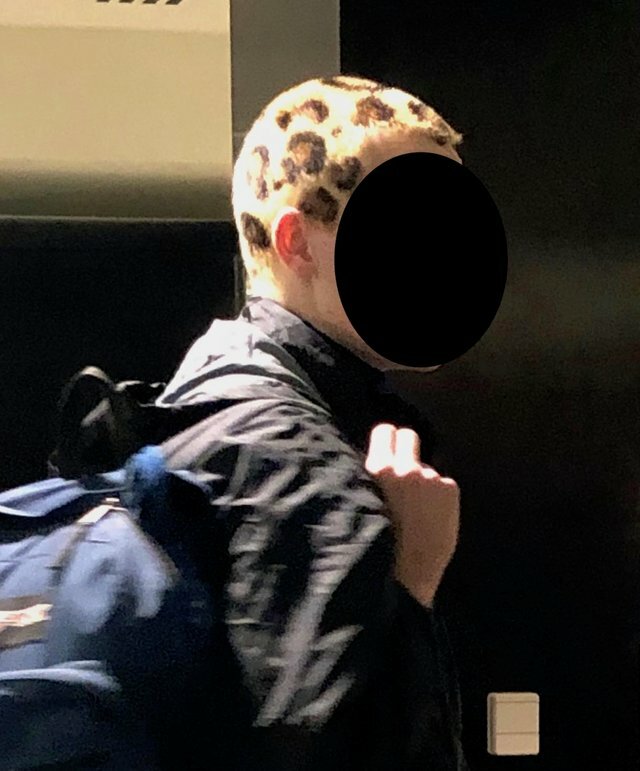 He longed to have his head match the pattern of his spirit animal, the leopard? 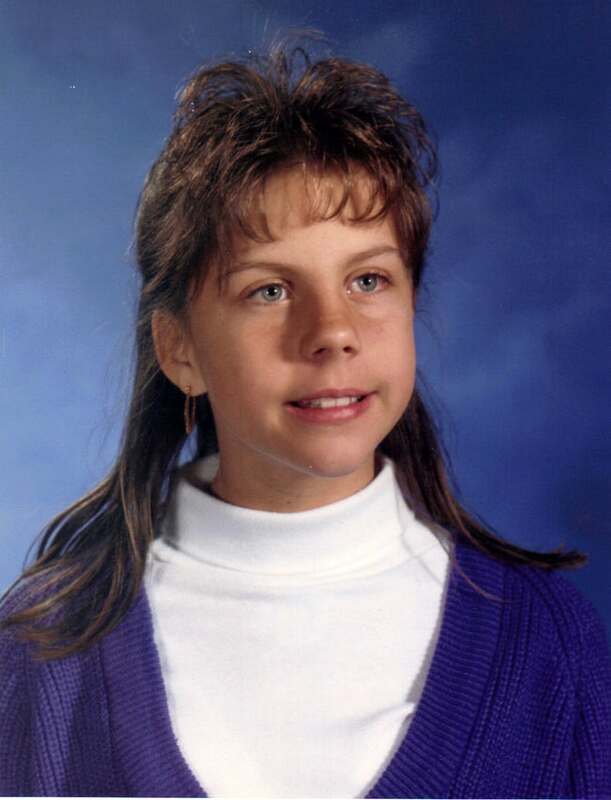 Good thing hairstyles aren’t permanent. Male pattern baldness is a fact of life. 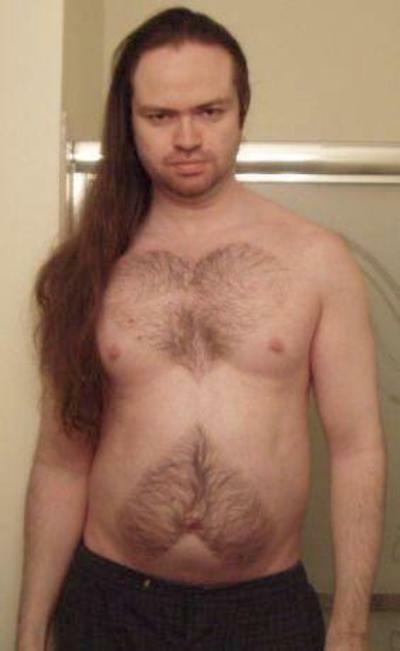 But, for some reason, some guys like to hold on to the hair they do have for as long as humanly possible. Take this guy, for example. Balding on top, but shaved the sides and kept the hair in the middle? 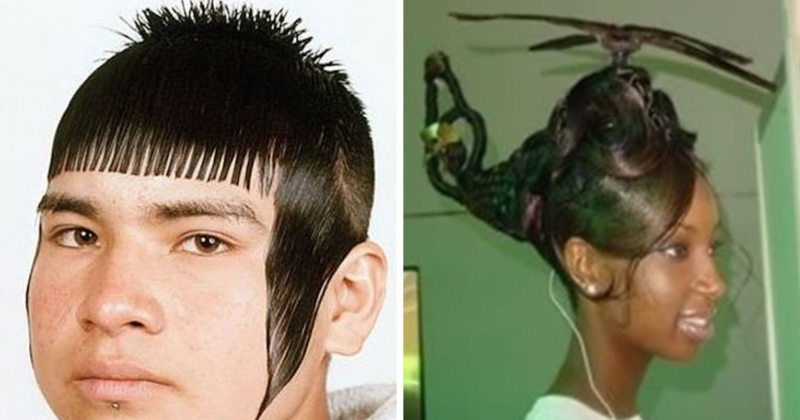 I mean…when it comes down to it, this haircut doesn’t seem that crazy. 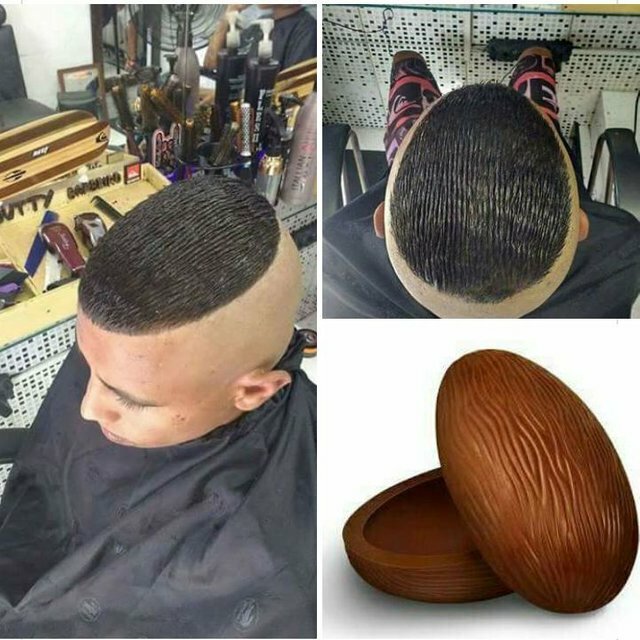 But, you can’t help but think it looks like chocolate Easter egg? Maybe an almond? It’s a straight oval of hair on top with comb lines that are just a little too symmetrical. Nice helmet, dude! Oh, wait…my bad. We’re not even sure what is actually going on here. 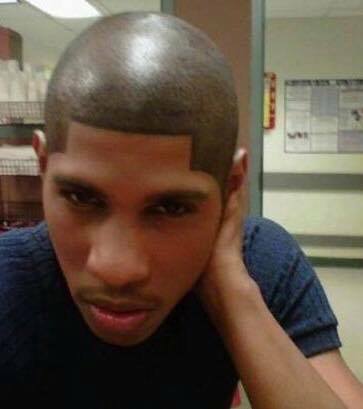 This isn’t his natural hairline, so, was it tattooed? Is it painted? We’re so confused! And also, the most important question–why?! Carving patterns and pictures into hair isn’t really anything new. In fact, they can sometimes come out looking really creative and cool-looking. 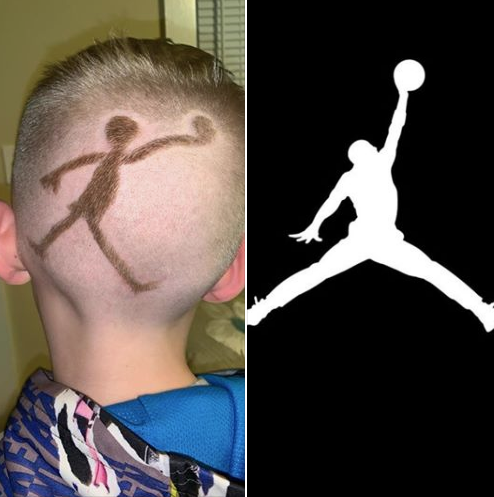 This little boy was going for an Air Jordan look and came out with a cartoon-y version that didn’t quite hit the mark. 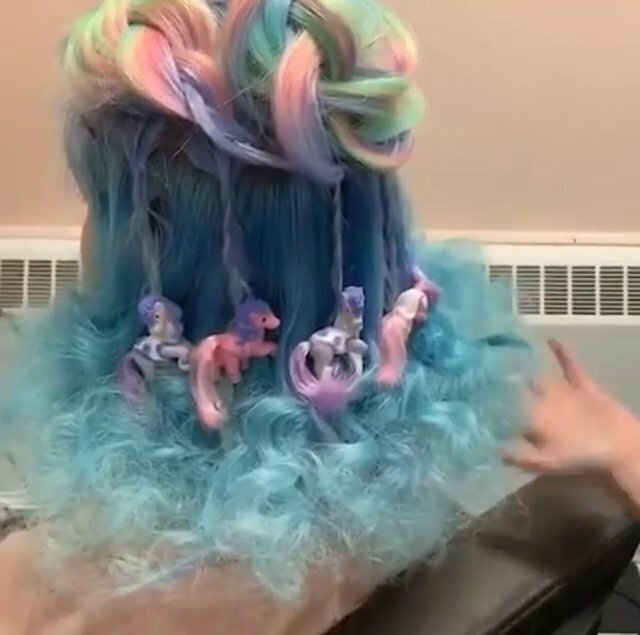 My Little Pony fans might really love this look but we’re thinking it’s a bit on the totally outrageous side. Although the pastel colors are quite lovely, how are you supposed to lay down at night with those dangling ponies in the back? 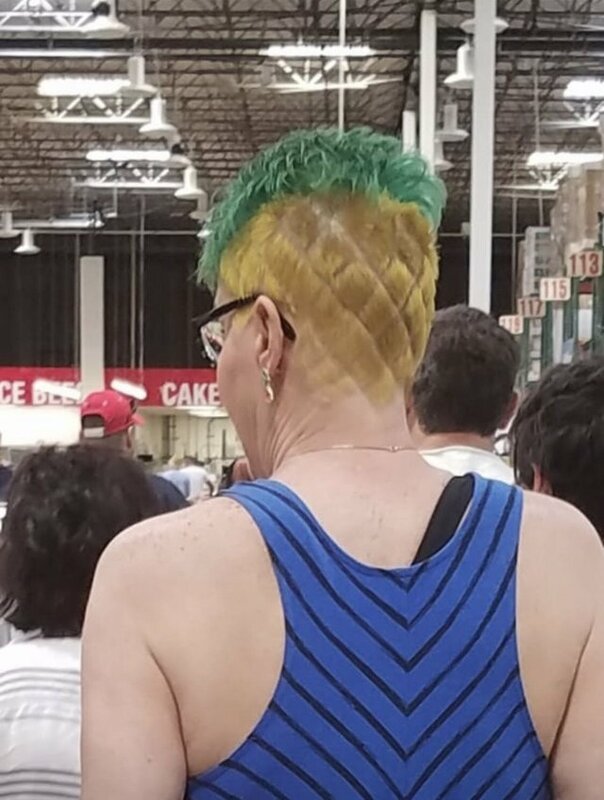 Pineapples are delicious. They’re sweet and slightly tart. They’re refreshing. And they taste yummy when turned into a piña colada. But as a hairstyle? We’re not so sure about that. One thing is for sure–she’s certainly making a statement! 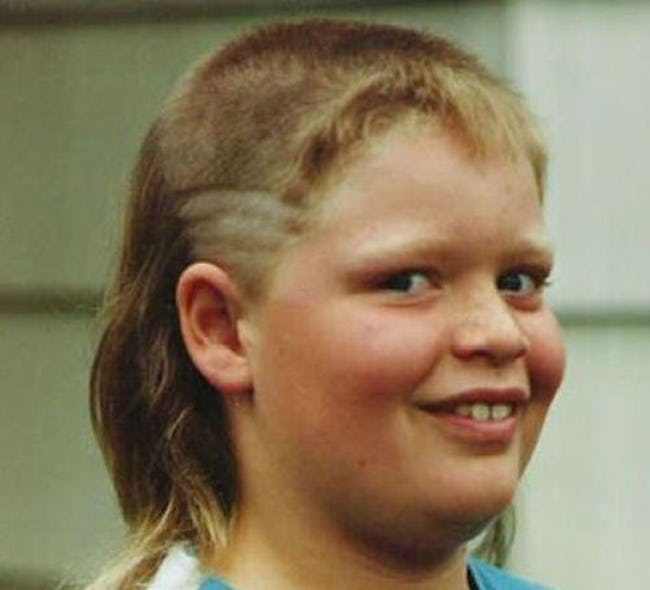 We’re not sure what’s scarier–this kid’s maniacal look in his eyes or the mullet with side steps. It even looks like they’ve left some tiny short little bangs in the front. The only saving grace is that this photo looks like it was taken 30 years ago when mullets were somewhat acceptable. 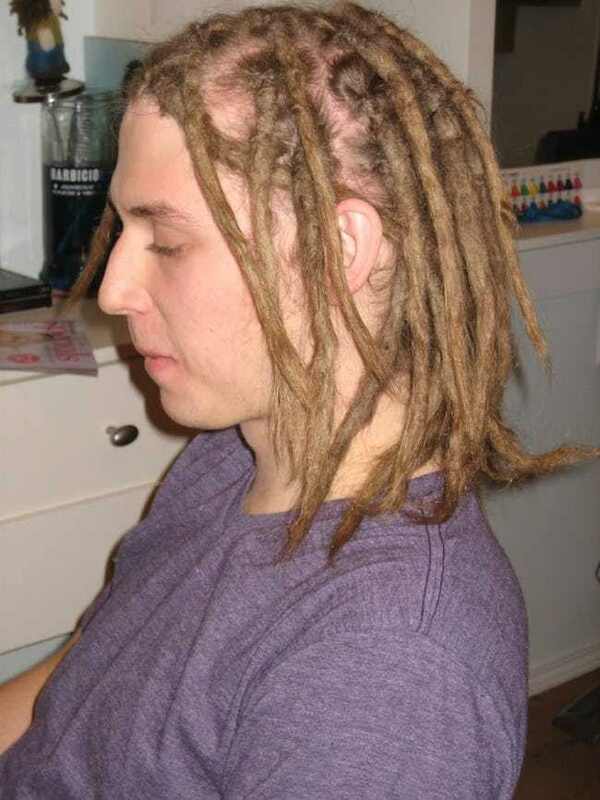 Some might say that white guys shouldn’t try and pull off dreadlocks others don’t care (we sure don’t). This guy is marching to the beat of his own drum, that’s for sure. But, we’re not so in love with all that scalp that’s showing. The amount of hair that is happening in this picture is pretty mind-boggling. He has so much hair in this (school?) photo that the entire fro almost doesn’t even fit in the frame. Again, thankfully, this picture appears to have been taken in the 60s or 70s when afros were present amongst all races. The emo haircut. So many layers. So big. So jet black. Of course, you have to have the side swept bangs that start at the opposite temple. And the look wouldn’t be complete without a lip piercing and jet black eyeliner. The early 2000s to the fullest. You guys–she loves Oreos, okay? I mean, who doesn’t? But she really really loves Oreos. 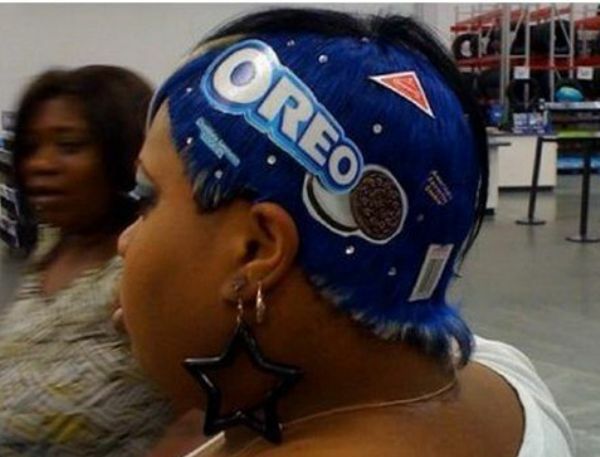 So much so that she dyed half of her head blue and stuck Oreo decals on top to represent the brand everywhere she goes. They should pay her for this type of marketing. Mr. Donald Trump. The President of the United States of America. 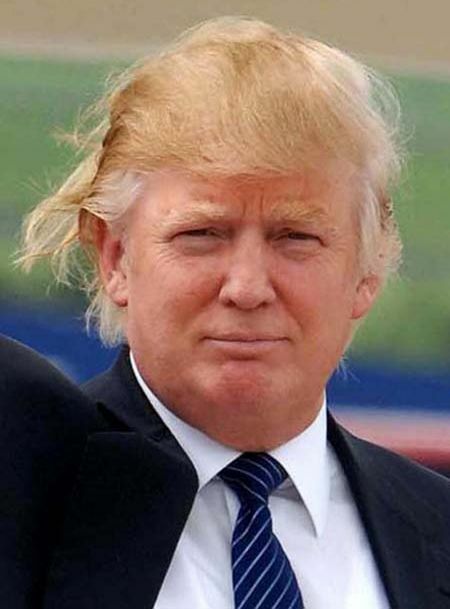 Whether you love him or you hate him, you have to admit–his haircut and style is just absolutely horrendous. What is even happening here? The faux hawk, the side patterns, the swirly facial hair–we don’t know where to focus our attention! All we know is that the look on this guy’s face says “I’m loving this” and that’s all that matters. Confidence is key when it comes to rocking a look like this. Two massive dreadlocks. That’s it. 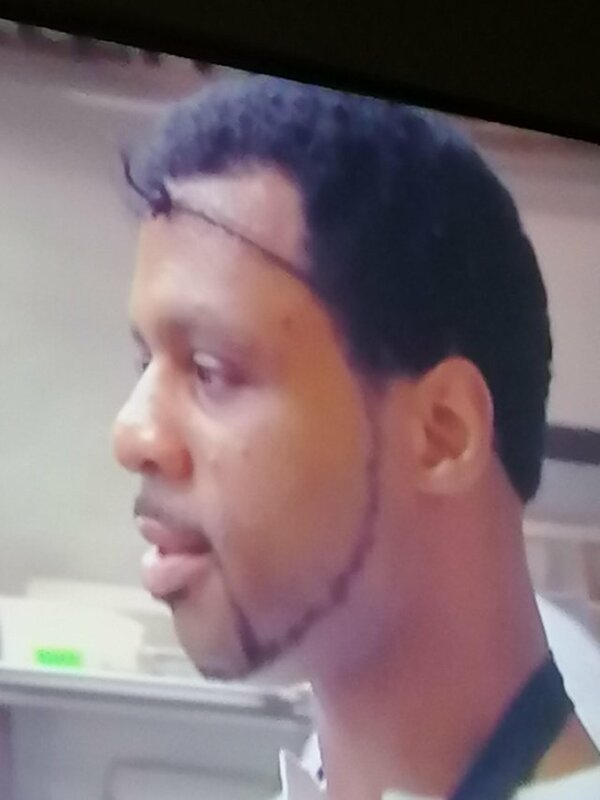 That’s the look this man was going for. Clearly, he isn’t exactly in his right mind considering this photo was taken before being booked into the slammer. But thanks for the entertainment, man! Here’s another style that almost leaves us at a loss for words. 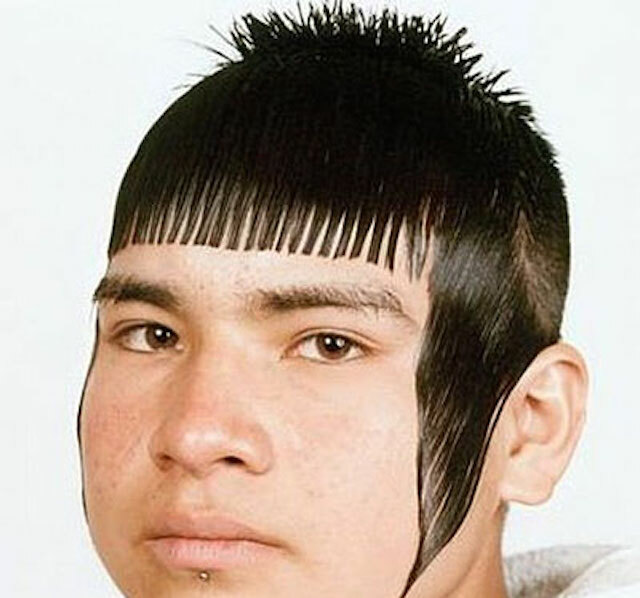 Buzzed in the back, little spikes on top, faux sideburns, and bangs that look like a barcode. We just want to know how on earth he came up with this idea in the first place! Yikes! We don’t know whether to scream or be in awe of this beyond-interesting hairstyle. 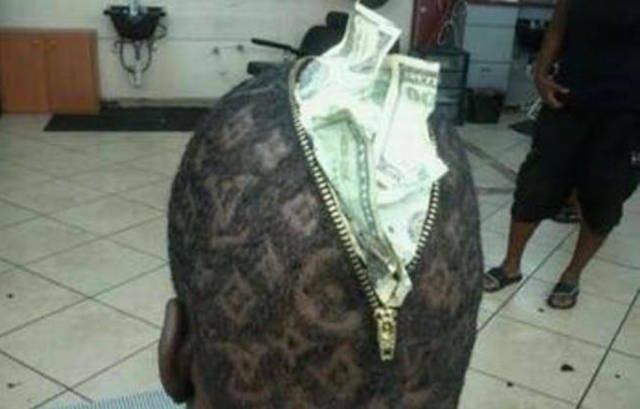 His head was transformed into a Louis Vuitton purse that unzips and spills money. Actually, we don’t care how creative this is–it’s just too creepy. Wow, wow, wow. So long, luscious, and curly on one side and so shaved and confusing on the other. He thought this would be an awesome look for whatever photos these were and now he has this photo to look back on for the rest of his life. And for us to laugh at for the rest of eternity. 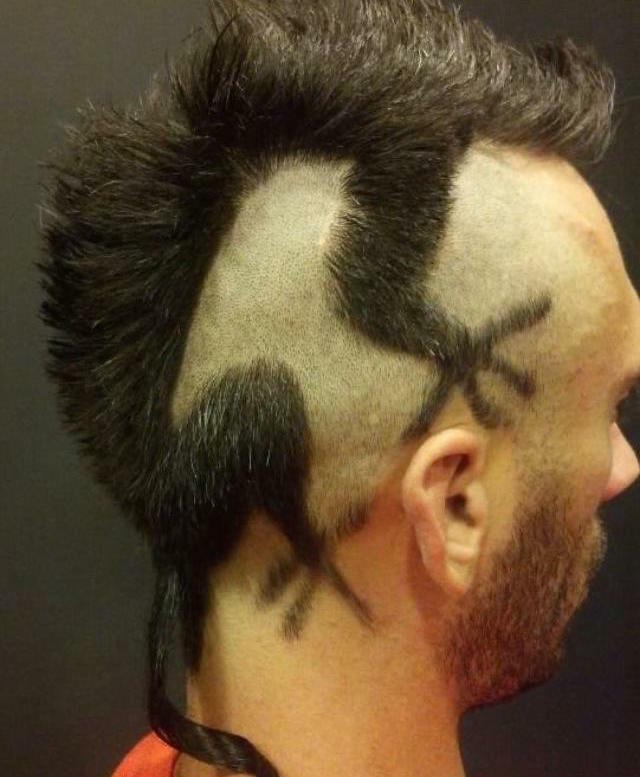 Have you ever wanted your hair in the shape of a chameleon hugging your head tightly? Yeah, we haven’t either but, apparently, this guy did! Again, the creativity is pretty great but we aren’t really sure about a day-to-day look. 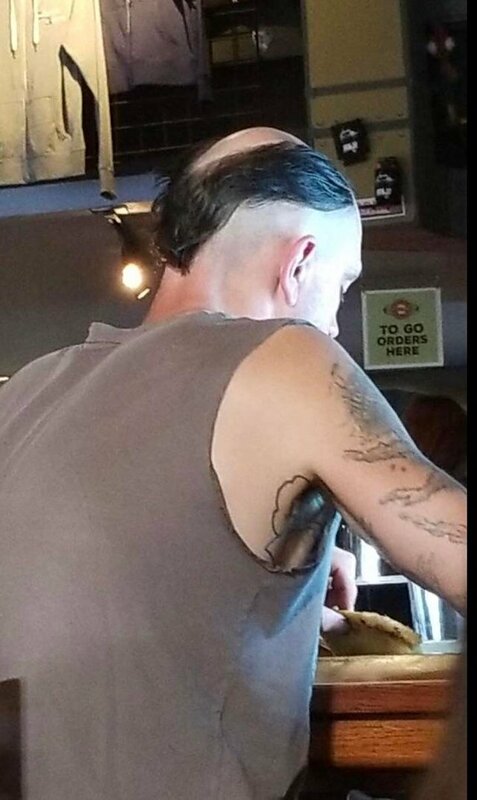 Remember that first rat tail we showed you on slide one? Yep, it turns out he wasn’t the only one with this genius idea. 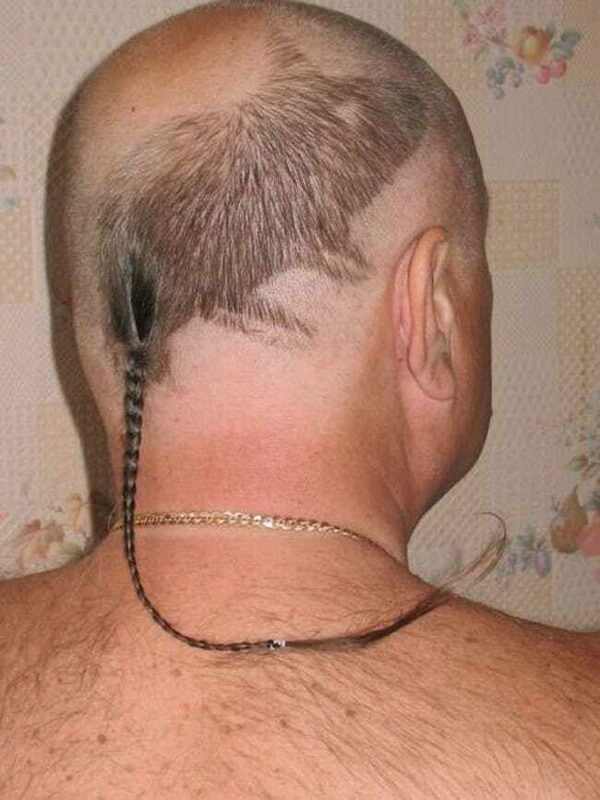 Here’s another rat tail attached to a rat for you. You’re welcome and we apologize at the same time.